This PDF 1.6 document has been generated by LaTeX with hyperref package / pdfTeX-1.40.16, and has been sent on pdf-archive.com on 22/05/2018 at 16:38, from IP address 193.186.x.x. The current document download page has been viewed 120 times. File size: 490 KB (8 pages). Jorge Martinez-Gil, Bernhard Freudenthaler, and Thomas Natschläger. 2017. Salzburg, Austria, December 4–6, 2017 (iiWAS ’17), 8 pages. information with no human supervision. of prognosis suggestion regarding mechanical components. to solve well-known data sets. The rationale behind this evaluation is to assess the feasibility of the proposed approach. the possible future lines of research in this context. windmills , railway vehicles , etc. data is possible to derive many facts on the nature of a given failure. are fuzzy, and therefore, it is not always easy to quantify them (e.g. disturbing noise, black smoke, strange power loss, and so on). that determines the relation instance that is present. the target relation is present at that position. • Structural features usually need to be encoded as combinations of several token-based or mention-based features. explain the rationale behind this solution in the next section. if there is useful information to extract. issues that just can be recognized from experts in that field. operate with the concept of trust (or uncertainty). that it is one of the most widely used languages in this field. is represented in other languages. text fragments belonging to different corpora of unstructured text. 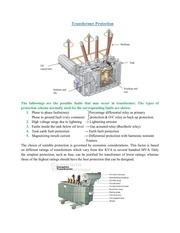 prognosis activities concerning mechanical components. suggestions based on the interpretation of this co-occurrence. the formulation of a number of potential answers for that question. already defined in the Problem Statement. features, so that it is possible to partly alleviate this problem. information concerning the information to be discovered. be blurred by the overwhelming presence of correct information. languages remains as a potential future work. of new paradigms for parallelization and big data management, this kind of problems are losing importance. • Variability inherent to the processing of natural language. nouns (and noun phrases) so that it is common to built retrieval methods based on noun representations extracted. avoid processing verbs, and common stop words. we wish to automatically solve these questions using our approach. What are the stages in a compound engine called? What is another term for rotors? What is a clear example of a pump component? we have achieved an accuracy of 70 percent. fact, we have performed more experiments using smaller corpora. method when reporting our results. mining proposal in relation to a knowledge base approach. In particular, our approach presents a number of qualitative advantages. limitations that should be faced in the future. so on. We just need to adapt/improve well-known text mining methods for getting the first meaningful results. any kind of maintenance and the updates can be done programmatically . that exists with no extra cost. recognition of word roots could face this kind of limitation. Moreover, it is important to remark that the choice of the different alternatives for answering the questions is a critical point. to automatically extract the different parts of a mechanical device. likely to present future problems. author referred to a potential prognosis activity. a successful prognosis of mechanical components. 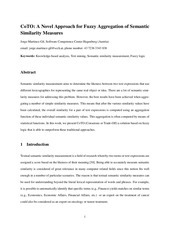 linear with the amount of text being analyzed. the Stanford Question Answering Dataset with a 70% of accuracy. Software Competence Center Hagenberg (SCCH). the Impact of Filtering Functions. AAAI 2007: 1316-1321.
web. Karlsruhe Institute of Technology 2010, ISBN 978-3-86644-479-9, pp. 1-236. Information Extraction. PKDD 2007: 18-29.
engineering systems. Expert Syst. Appl. 39(10): 9031-9040 (2012). K. W. Church: Word2Vec. Natural Language Engineering 23(1): 155-162 (2017). D. Freitag: Machine Learning for Information Extraction in Informal Domains. Ph.D. dissertation, Carnegie Mellon University (1998). General guidelines. Int. Standard ISO13381-1, 2015.
an information retrieval perspective. Inf. Sci. 181(24): 5412-5434 (2011). Y. Lei, Z. He, Y. Zi: Application of an intelligent classification method to mechanical fault diagnosis. Expert Syst. Appl. 36(6): 9941-9948 (2009). Dynamic Systems Using Soft Computing Techniques. SMC 2006: 2234-2239. L. Ma, Y. Zhang: Using Word2Vec to process big text data. Big Data 2015: 28952897. Science Review 18: 1-9 (2015). web intelligence. Artif. Intell. Rev. 42(4): 935-943 (2014). 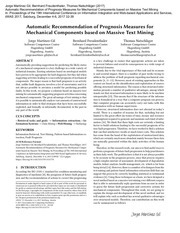 Machine Comprehension of Text. EMNLP 2016: 2383-2392.
to extract relations from web documents. KDD 2006: 712-717.
and WordNet. J. Web Sem. 6(3): 203-217 (2008). equipment for high speed railway. ITSC 2014: 900-905. This file has been shared by a user of PDF Archive. Document ID: 01877348.